We are providing Color Inkjet Printer Repairing Services to our clients. By using advanced technology, we are involved in providing Inkjet Printer Repairing Service. We Prefer enquiries from nearby Chandigarh only. 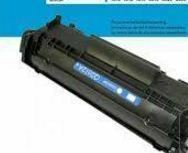 All printer compatable cartridges are available.